From South Korea's city streets, Digbeth will see its very first DVDBANG as part of Flatpack this year. Based in the Custard Factory, the half rental shop, half cinema will be open from 8am to 2am every day between Monday 24 and Sunday 30 March. 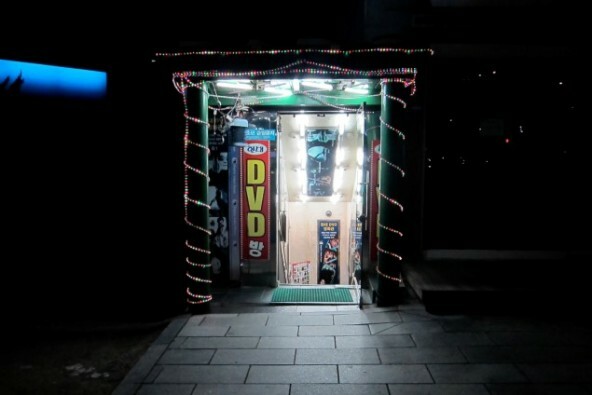 DVD-bangs are an icon of Korean entertainment culture. In 24 hour districts, the streets hum with neon signs for spaces to pass cold days and nights with friends or strangers, to bond over a shot of soju, instant noodles and a film. Designed by a London-based collective of ex-expats, designers and builders, DVDBANG is a not-for-profit cinema installation screening South Korea’s finest and wildest imports in a reimagined 24hr private movie room. 8ft HD projection for a maximum of 8 people at a time. The room can be booked for couples, groups, families or just for one. The movie room has no remote control, but also no ‘shh!’. What you watch and how you watch it is up to you. However, we can’t guarantee your friends won’t still be angry if you rustle your rice puffs too loudly. Kim Ki Duk's first film 'Crocodile', political satire 'The President's Last Bang', critically acclaimed dark animation 'King of Pigs', 'Antique Bakery', sumptuous and strange adaptation from a manga comic, raunchy high school musical 'Dasepo Naughty Girls' and multi international award winner 'Oasis'. There will also be a collection of wild shorts guest programmed by London collective Brain Wash.
Each ticket gets you a free beer (or Korean tea/coffee) and a free snack - sup a choice of Korean Hite beer, makgeoli rice wine, aloe vera or nostalgia rice drink. There is also the chance to knock back a shot of soju (apparently the biggest selling alcohol in the world - purely because of how much the Koreans drink it). There will also be Choco pies, kimchi, and dried squid in plentiful supply. Yum. DVDBANG is supported by the BFI. With special thanks to Terracotta, Third Window and The Lost Picture Show.